Look what I found! 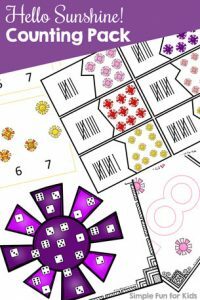 I have a sizeable backlog of printables on my computer, and when I looked back at “leftovers” from last year, I came across this cute, no prep counting activity that works really well for Halloween and just any day: Spider Roll and Color Worksheet. This is a one-page printable in three versions. 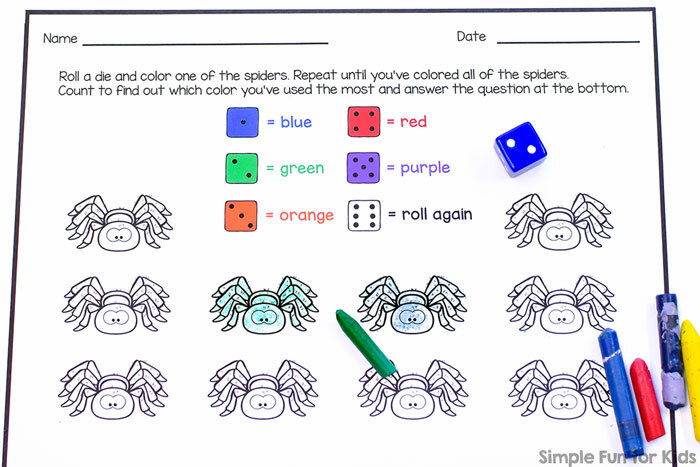 Each version has the same spiders to color, instruction text, and question to be answered. 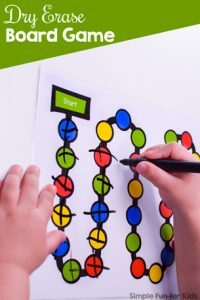 The first version is shown in the photo below with the colors blue, green, orange, red, and purple assigned to dice faces from 1 through 5. Dice face 6 is assigned to rolling again. 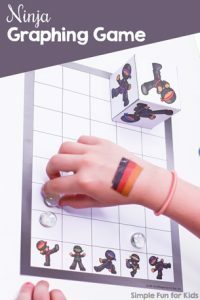 The dice faces and color names are shown in the appropriate colors. The second version has the same color assignments but shows the dice faces and color names in black and white. The third version has no colors assigned and leaves room for your own color choices. Print the page you want to use and start working on it right away – no prep necessary! 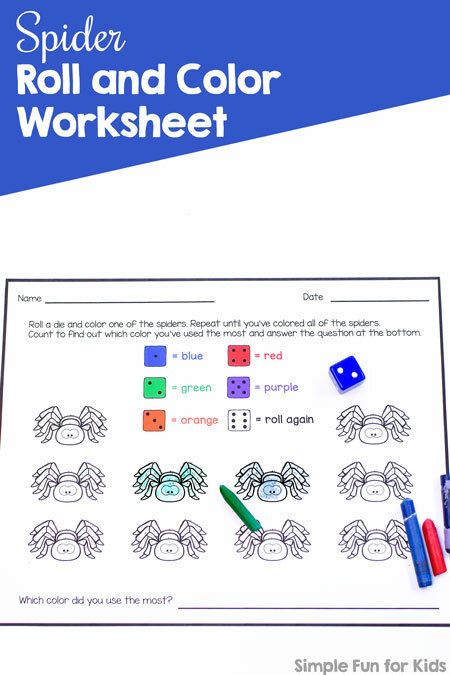 Download your Spider Roll and Color Worksheet! 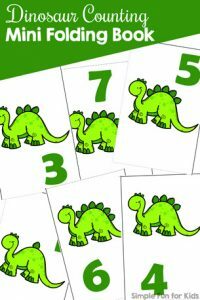 Are you looking for other simple math printables? I’ve got you covered!